Knitting sweaters from the top down is becoming increasingly popular. 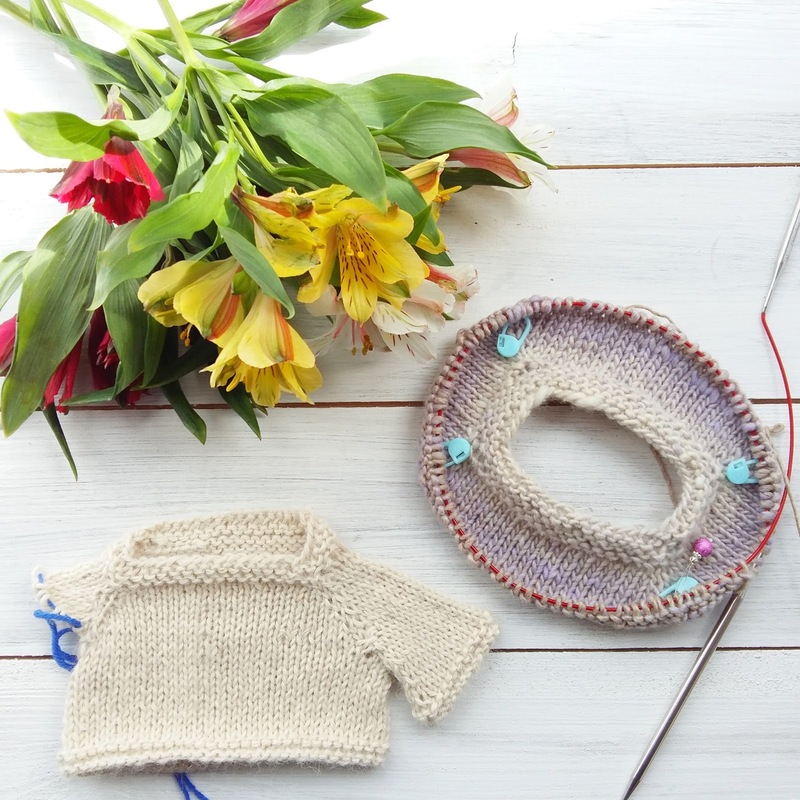 The easiest way to knit a sweater from the top down is to do a raglan or circular yoke construction. One of my new classes this year is the Top Down Raglan Sweater workshop and I taught it for the first time yesterday at Spin A Yarn. We'll also go through how to work out your own size and you'll get a worksheet as well as a spreadsheet (which I'll send to you by e-mail if you want it). 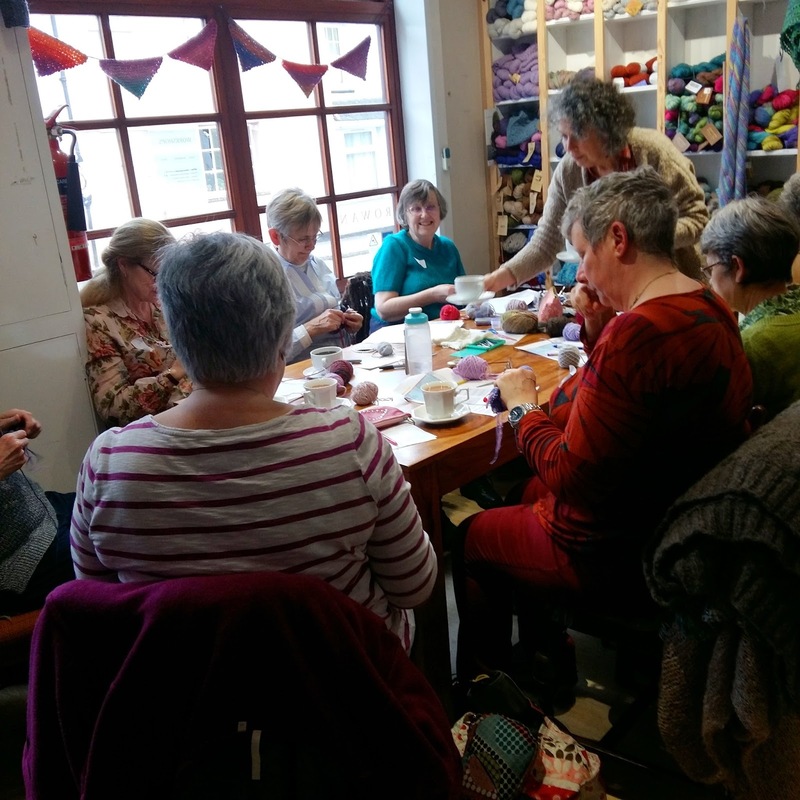 This class is suitable for knitters who are confident in basic knitting skills and willing to try new techniques. It's always interesting to teach a class for the first time. It's hard to know exactly how much we'll get done and exactly which level to pitch it at. Because I've taught at Spin A Yarn for so many years, there's always a few in every class that have been to my workshops before but it's always great to see new ladies and I wish there were more men in my classes. It's been years since I had a man in one of my classes. Sue was one of the ladies in yesterday's class and she's taken other classes with me in the past and she told me I was the best knitting teacher she'd taken a class with and that I'd given her the confidence to knit a fabulous, sweater/poncho with a fairly complicated cable pattern. I didn't teach her how to knit cables but I helped her believe she could do it and to give it a go. That made me so happy! I love it when knitters tell me that my classes gave them the confidence to knit something they've been nervous about before. That's the aim with my workshops and patterns! I want to give you the confidence to knit what you want to knit! 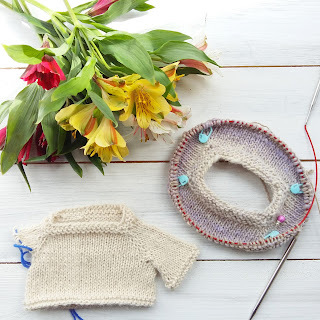 On Sunday, I'm teaching the Top Down Raglan Sweater workshop at La Mercerie in Cowbridge, South Wales and in April I'm teaching both Top Down Raglan Sweater and Continental Knitting with Norwegian Purl at Purlescence near Newbury, Berkshire (just off the M4). Contact the shops if you're interested in any of those workshops.